Should The United States and Mexico Become One Nation? 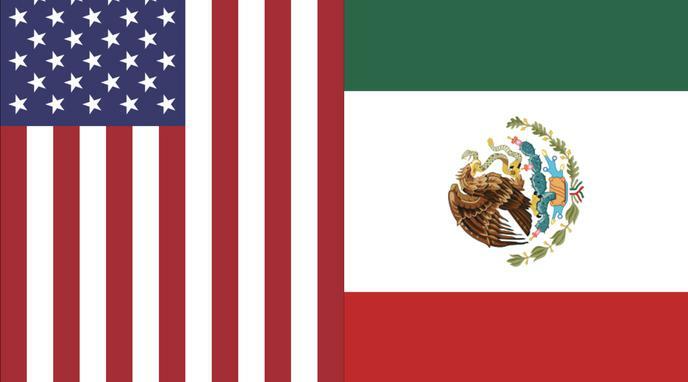 The United States and Mexico should become one nation. Becoming one nation could provide military benefits to both nations. Becoming one nation could create positive economic benefits. Our Southern border would be smaller, thus, less ground to patrol and defend. This would provide positive benefits to the people living in both countries. There wouldn't be any money wasted on an expensive border wall. Mexico has a strong sense of identity and would not want to give over control of their state to the United States. Racism in the United States indicates that Mexicans would be endangered by the U.S. and Mexico becoming one nation. Drug lords and cartels would have easier access to pushing drugs. There would be a lot more coastline to patrol. There would be much more poverty to deal with.